Aron Gerson was born in Butrimantz near Vilnius, in the south of Lithuania, 15 January 1901. He studied at the Yeshiva of Slonim, Lithuania. He became a rabbi. He married Esther Berger. They have three children, a daughter, Fina, and two sons, Joseph and Leon. 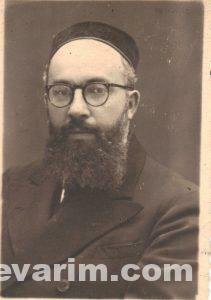 In 1929, at age 28, he became rabbi of Charleroi, Belgium and the prison chaplain of Charleroi. He lived in Charleroi until 1940. With the invasion of Belgium in 1940, he moved to Nice with his family, after a brief stint in Vichy. There he met Menachem Mendel Schneerson, the future Lubavitcher Rebbe. In Nice, he is in regular contact with Rabbis Elie Munk, Tzvi Hirsch Horowitz, Joshua Pruner. 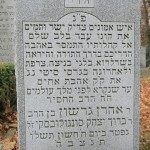 He holds religious functions within the Ashkenazi Synagogue Ezras Achim located at the time at 24 Boulevard Dubouchage. This synagogue still exists, but at a different address: 1 Blacas street. Even during the German occupation of Nice, which started in September 1943 as a mohel, he continues to practice circumcision, risking his life. At that time, he has to hide to escape the raids. After the Liberation, he became rabbi of the Ashkenaze community. His eldest son, Joseph Sungolowsky celebrated his Bar Mitzvah in December 1944, the first since the end of the war. In 1952 he moved with his family to the United States. 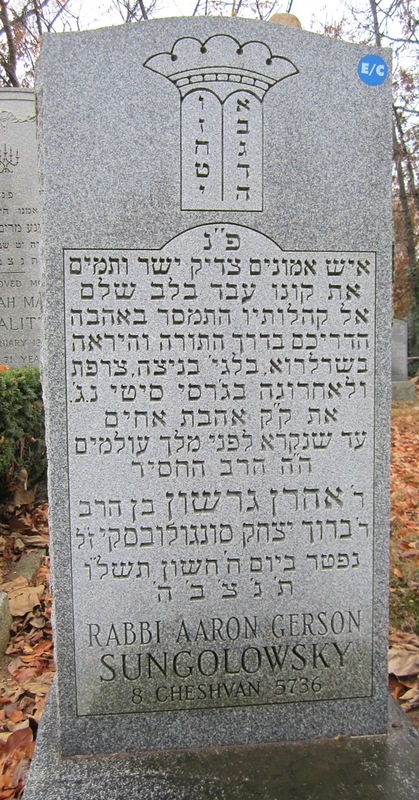 From 1954 to 1975 he was the rabbi of Congregation Ahavas Achim in Jersey City, New Jersey. He died in 1975 and buried in the Baron Hirsch Cemetery in Staten Island, New York .. I am the son of Rabbi Aaron Gershon Sungolowsky. 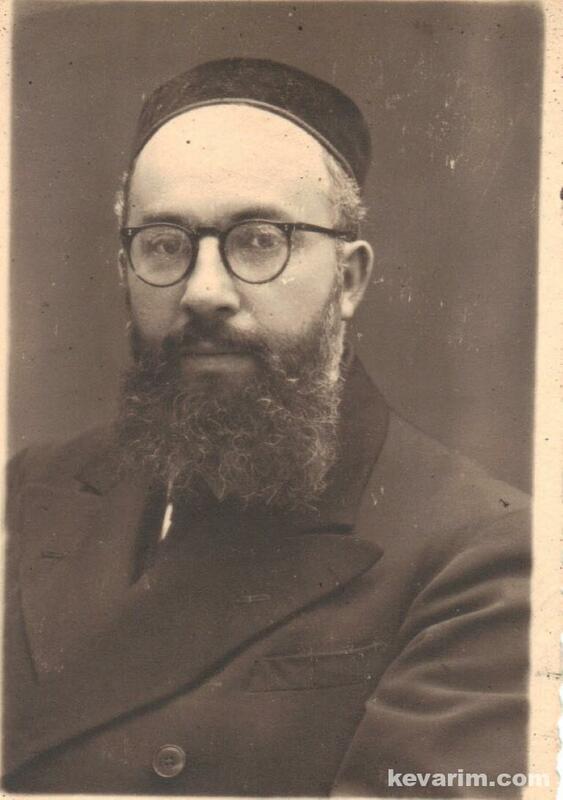 In answer to your inquiry, I am writing to inform you that my father was appointed rabbi of Charleroi around 1929 coming from Vincovci (Yougoslavia). How he learned about the position is unknown to me. I am Alberto’s grand daughter, you wouldn’t happen to have a copy of that certificate would you? I just saw a letter you wrote to Rabbi Shmuel Helberg saying that your father was my mohel in Nice in May 1942. Please tell me the details of the Bris. Was it done secretly? What kind of contact did your father had with mine Rabbi Elie Munk? Any details about your learning with my brother Yaky in Nice? He passed away two years ago. I am writing a book about my family and I may want to talk about that period in more details. Yes, My father z”l was your mohel in Nice, France . Nice was under the administration of the Vichy government. Jewish life was still possible. Your parents lived a block and a half away from us. We were all praying at the Ashkenazy shul located at 24, Boulevard Dubouchage (still in existence at 1, rue Blacas). I learned “bechavruta” with your brother Jacky z”l. Your brother-n-law, Jacob Neuberger was my colleague at Queens College where I am still teaching.